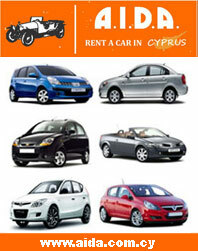 We are based in Limassol, Cyprus and we have been in the car rental business since 1983. Our long-term experience has provided us with the knowledge that the primary concern of visitors is to hire safe and reliable cars. Carhirecyprusonline.com is a website powered by EUROPCAR, one of the largest car hire companies in Cyprus, we provide services and have offices in all towns and also offer services for car hire in Paphos and Larnaca airports, as well as hotel deliveries and pick ups. We recognize that each individual, family, party of friends or holiday maker or professional has different needs and preferences and thus we offer a large variety of choices.